Samsung Galaxy Note 10 will have an entirely button-less design... but why? Death of the Bixby button? Samsung looks set to seriously shake-up the design of its next entry into the wildly-popular Galaxy Note smartphone range. 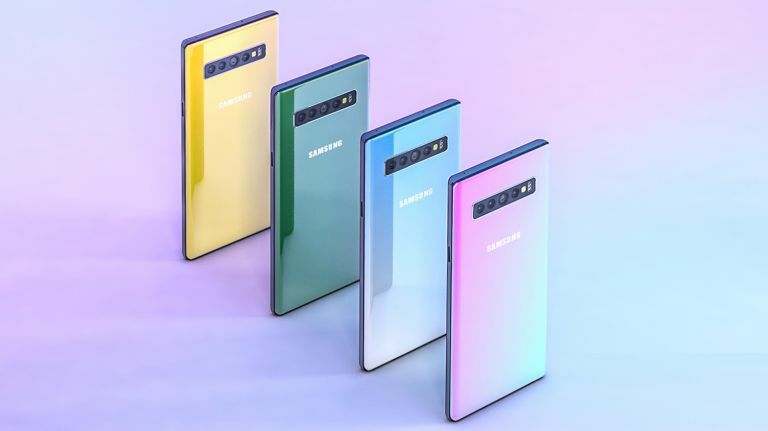 The new handset, likely to be branded Samsung Galaxy Note 10, could launch with no buttons at all, according to a new report from Korean news outlet ET News. According to sources speaking to ET News, the Galaxy Note 10 will have an entirely buttonless design – that means you won't find a physical button to switch the handset on and off, adjust the volume, or summon the Bixby voice assistant. Instead, the Galaxy Note 10 is widely-tipped to adopt a fully gesture-based interface that will control all of these functions with software, not physical buttons. Sources suggest the device could have some capacitive buttons, like those seen on recent flagships from HTC and older OnePlus-branded handsets, as an option to control some of these functions. It's worth noting that ET News is pretty light on details beyond that, mind. That doesn't fill us with confidence that this is a surefire thing. However, it does make a certain amount of sense. With the Galaxy S10, Samsung finally allowed users to remap the function of the Bixby button – swapping physical buttons for capacitive ones, or entirely software-based alternatives could offer more flexibility for Galaxy Note owners, something that's likely to appeal to its productivity-focused audience. Smartphone rival Apple took the decision to remove the physical movements from the Home Button when it moved from the iPhone 6S to the iPhone 7 in September 2016. The new button did not physically move, but replicated the sensation of a click by using haptic feedback. The decision was purportedly taken to reduce the risk of the physical mechanism failing and to allow Apple to seal the iPhone to bring water resistant to the handset. Since the Galaxy Note series already boasts industry-leading water and dust resistance, this doesn't seem to be a likely explanation. However, it's possible that it could be planning to step-up the IP rating yet again and needs to eliminate the buttons to do so. It's also possible that it receives a large number of returns from smartphone owners because of failing volume buttons and the like, and therefore wants to create an entirely sealed unit for its next Galaxy Note handset. Elsewhere, the Galaxy Note 10 is tipped to ship with the latest-generation Qualcomm Snapdragon 855 system-on-a-chip or the Exynos 9820, depending on region. At least one model is tipped to ship with support for superfast 5G networks. As for the camera, we're expecting to see the same rear-mounted quadruple set-up as the Galaxy S10 5G. It's possible this will rotate around to double-up as the selfie camera, like the Samsung Galaxy A80, too. As always, it's worth taking this latest ET News report with a pinch of proverbial salt. The publication has a reliable track record, but the lack of detail here could be cause for concern.